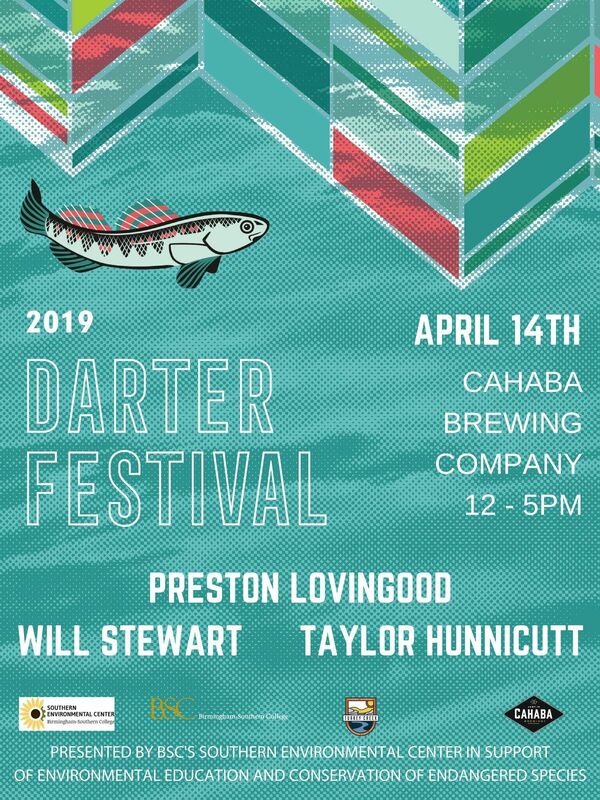 Join us for the 8th annual Darter Festival on Sunday, April 14, 2019 from 12 noon to 5 pm at Cahaba Brewing Company! 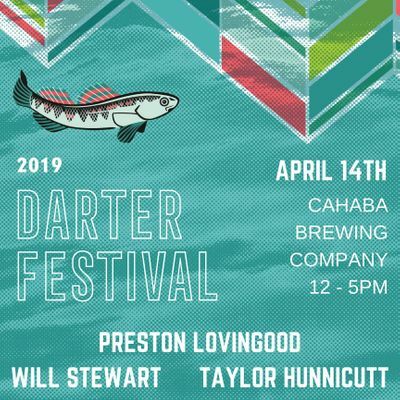 The festival supports Southern Environmental Center's conservation projects and environmental education programs at Turkey Creek Nature Preserve, home to unique and federally protected populations of Vermilion, Watercress and Rush Darter Fishes. The Preserve, which is free to enter, also offers outdoor recreation opportunities such as hiking, mountain biking, fishing, wildlife viewing, and swimming!Festival Highlights will include:- Live music by Preston Lovinggood, Taylor Hunnicutt, and Will Stewart- Food Trucks: Eugene's Hot Chicken, Hollywood Grill, and Steel City Pops- Amazing Raffle PrizesPre-sale ticketing through EventBrite:General Admission - $10Dart Pass (VIP) - $50At the door ticketing:General Admission - $15Dart Passes (VIP) - $50 VIP Darter Passes include:Catered food, 2 Darter Beer tickets, water and soft drinks, and access to the stage-front VIP area.